Have you always wanted to read Hebrew but never had the opportunity? Ever feel lost at Services because you can’t follow the Hebrew? 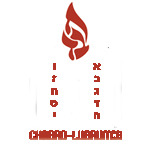 Want to study the Torah in its original language? Perhaps it’s time to learn your own language. Finally an easy way to learn to read Hebrew - that actually works! In fact, this contemporary and engaging format has already worked for over 200,000 people around the world! You will begin to read in the first class and by the end of the course you will be well on your way to Hebrew reader fluency with a basic understanding of Hebrew prayers. While most other languages require significant time and dedication to master, one can easily become a proficient reader of Hebrew in just six lessons. More than ever before, people from all walks of life are eager to learn Hebrew, either for the first time, or just to brush up on their forgotten Hebrew school education. Think about it: You spent years studying a foreign language… Why not invest six weeks learning your own?